Richard Carrier: Jesus himself may never have existed….. I was in Kentucky this past weekend at Murray State University watching the historian Richard Carrier speak on the plausibility of the Resurrection and of Jesus Christ himself. The video for that talk isn’t available just yet, but much of the content on the historicity question of JC is available on this YouTube video from another talk on the same speaking tour this past week. Richard spoke to my old secular groups now combined as the Murray State Secular Student Alliance on both the evidence against the Resurrection and the existence of Jesus. For detailed viewpoints on the Resurrection go to: Richard Carriers FAQ’s. just published June 2014 by Sheffield Phoenix Press. “The assumption that Jesus existed as a historical person has occasionally been questioned in the course of the last hundred years or so, but any doubts that have been raised have usually been put to rest in favor of imagining a blend of the historical, the mythical and the theological in the surviving records of Jesus. Carrier re-examines the whole question and finds compelling reasons to suspect the more daring assumption is correct. He lays out extensive research on the evidence for Jesus and the origins of Christianity and poses the key questions that must now be answered if the historicity of Jesus is to survive as a dominant paradigm. Carrier contrasts the most credible reconstruction of a historical Jesus with the most credible theory of Christian origins if a historical Jesus did not exist. 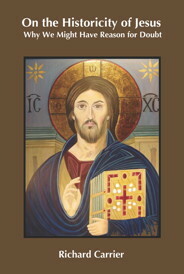 Such a theory would posit that the Jesus figure was originally conceived of as a celestial being known only through private revelations and hidden messages in scripture; then stories placing this being in earth history were crafted to communicate the claims of the gospel allegorically; such stories eventually came to be believed or promoted in the struggle for control of the Christian churches that survived the tribulations of the first century”. Dr. Carrier makes an incredibly strong case that Jesus originated as a purely supernatural creature, known only through revelations and scripture with the gospel stories placing him on earth as a real person written in succession much later, embellishing the legend with increasingly impossible events in hopelessly contradictory and often absurd accounts. Do watch the video. The evidence and arguments are impressive. presented in the book itself. In an hour lecture Dr. Carrier can only give a smattering of the mountains of evidence from the Bible and Biblical scholarship he amasses in the nearly 700 page book. It is extraordinary and well worth the read. Check out what 6 years of research and scholarship by a trained historian can produce. You might well realize upon viewing his talks and especially in reading the book why so many in the secular community have easily jettisoned the long standing default position recently explicated by the New Testament scholar Bart Ehrman: that Jesus was a real guy, just another preacher from the 1st century and crucified by the Romans but most of everything else we read of his life from the Gospel stories is uncorroborated embellished myth, not to be trusted as factual history in any way. But JC’s historicity, his existence as an unquestioned given, a viewpoint Dr. Ehrman vehemently upholds despite being as skeptical as anyone on everything else about Jesus and being responsible for popularizing that Biblical skepticism as much if not more than any educator through his excellent books and lectures, is now very much in doubt. Carrier establishes a high probability for the abject mythicism of JC; He never existed at all. After considering Carrier’s exhaustive analysis and abundant and comprehensive evidence-based arguments, it is hard to maintain the default view. It is quite likely Jesus was no more real than Zeus, Osiris, Moses, Romulus, or any other mythic being from Bronze Age times. If you want even more scholarship and argument on the implausibility of so much of what Xiansanity(TM) has had to offer us thru the millennia, check out Richard’s website. It contains a wealth information from all his books and other writings. Dr. Carrier is an independent scholar, so consider supporting his work by purchasing his book(s) if you have an interest in the topic. You will more than get your money’s worth. 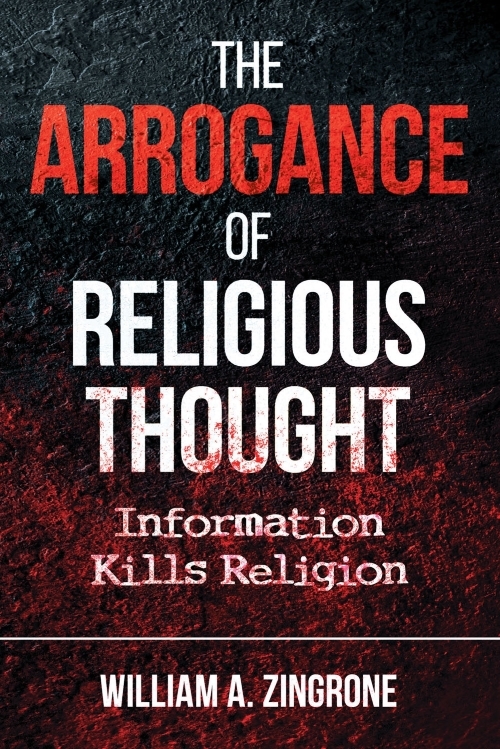 I am blown away nowadays both by the wealth of information available from an abundance of sources questioning religious claims of all stripes and especially by the ubiquitous 24/7 discussion that is going on not just on the Net but across all media. And I am especially excited about the effect it is having. 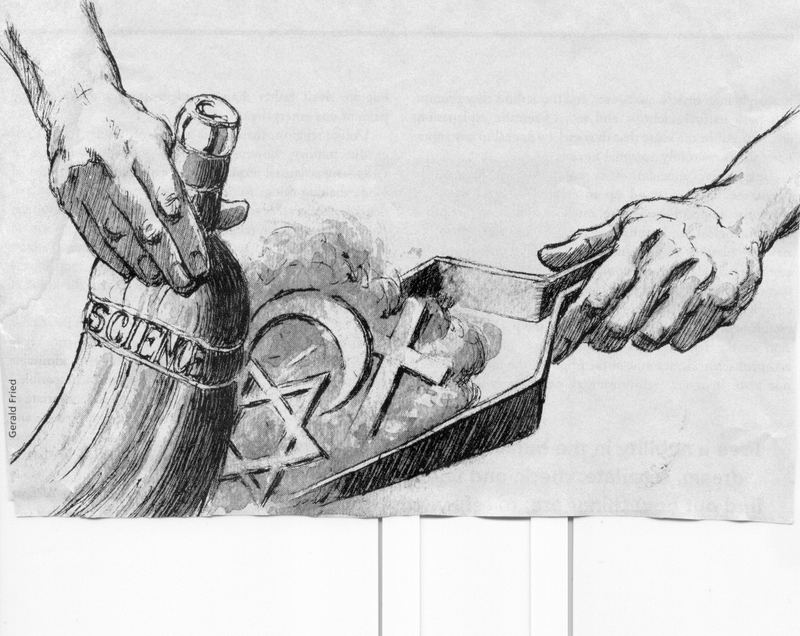 This entry was posted in Anti-theism, History, Nonbelief, Religion, Secularism, Skepticism and tagged biblical history, Christianity, Religion by waz. Bookmark the permalink. I t easy great seeing you and hanging out with the gang and Richard Carrier. I agree it was a great talk and Richard said it was the one with the highest attendance of the whole tour. I uploaded the video of the talk for those who are interested: https://youtu.be/sTAYfrZYqZQ. Hope to see you soon. manolo. I will be back in May or June as soon as I have working vehicle and funds for the trip to get my books outa Ron’s garage. Ill get a hold of y’all ahead of time. Carrier’s research is impressive. I read 3 of his books, Not the Impossible Faith, Proving History and On the Historicity of Jesus, the amount of exhaustive Biblical scholarship that he surveyed and assimilated is incredible. He didnt miss turning over any stones. It is amazing that it is so probable JC never existed at all, just like any other god in any other religion. Thnx for posting the video! talk to you in a month or so.